We often hear the term "lifestyle brand" in taglines, marketing and advertising. What is that? Generally, it's a strong area of interest around which we conform the way we live — the products we buy, the foods we eat, etc. Lifestyle identity can influence the neighborhoods or areas where we live — golf course homes, horse country, beaches, and homes built around private airstrips. It affects the clothes we buy, certainly our leisure activities, the charities we support and the friends we favor. Many people identify with more than one lifestyle, and this can often be the case within a single-family household. When we look at marketing to particular demographics, lifestyle has got to be a consideration. Lifestyle is one way we identify ourselves. In marketing, we tend to think first of age and gender, and of course, income. Personal interests are considered. Stronger than any of these individually, however, is lifestyle. Whether we realize it or not, dog owners — particularly those who identify as dog lovers — live a dog lifestyle. More than ever, dog lovers travel with their pets (locally and overnight), and part of their other-than-pet purchasing decisions are made based on having pets. In our own household, we consider furniture and carpet color because of our dogs, and we buy only machine-washable comforters. Our daily schedules are happily contorted around pet care. We would not do these things if dogs were nothing more than an interest. Those of us who are more than just a couple of decades old have seen the dog move progressively from the backyard to the bedroom and into our beds. According to the American Pet Product Association (APPA) 2015-2016 National Pet Owner's Survey, 50 percent of dog owners now allow their dogs to sleep with them in their beds. The humanization of pets over recent decades has spawned a lifestyle that marketers are eager to exploit. Subaru creates commercials around the dog lifestyle, and many others including Volkswagen, Chevrolet and Mercedes all make use of dogs to appeal emotionally to dog lovers. Budweiser tugs particularly hard at our emotions — just look at this year's Super Bowl commercial below. Bissell carpet-cleaning products are directed toward pet owners with special versions of machines having characteristics to appeal to pet owners. The list of examples is exhaustive when you also consider the number of commercials and print ads where a dog or cat is either the main character or is strategically placed in an advertisement. Your local business people, such as real estate agents, use pictures of themselves with their dogs in their advertising and business cards. It's a basic sales principle; people who are like each other tend to like each other. Dog lovers identify with dog lovers. Understand that these companies and many like them are able to transcend multiple demographics, differentiate themselves from among commoditized products and make an emotional appeal. For most of the readers of this article it's obvious the pet industry is growing, and all indications are it is not about to slow anytime soon. People are spending more on pets each year (despite economic conditions), and there are strong trends within the spending. There are two major pet industry trade shows conducted annually in the United States, Global Pet Expo and SuperZoo. Growth in the numbers of exhibitors and attendees has accelerated in recent years. If you walk the shows (which now takes quite some time), it is apparent that manufacturers are finding ways to get into the pet market, and buyers know they need to carry more pet category products. The number of licensed brands in pet is also growing. Manufacturers in the industry are looking for an edge, and licensing (such as celebrity brands) can provide that. As the industry grows, so do the number of categories — it's no longer just bowls, collars, leashes and food. There is a dizzying array of new products every year in electronics, pet health, care and pampering. So what does this mean for manufacturers and retailers? As the industry grows, there is more and more room for manufacturers. Competition is strong, and product differentiation is important. To connect with people that live a dog-lover lifestyle, manufacturers have to start appealing to a lifestyle and not present themselves as a commoditized product. This way they can transcend multiple other demographics. Retailers, if not already in the pet industry, need to look at pet lifestyle as a matter of being relevant. When 55 percent of one’s customer base is a dog owner (and probably a dog lover), does it not make sense to carry appealing products for them? That’s a pretty compelling number. Retailers in the pet industry who want to differentiate themselves, need to support a dog lifestyle and make a distinction between commodity products and lifestyle products. Dog lovers are typically compelled to show their love of dogs, and they surround themselves with reminders. Gifts, apparel, home decor and even certain brands of vacuum cleaners can remind them all how great it feels to be with their dogs. The APPA Survey also reports 62 percent of households now own pets (54 million households own dogs, and 43 million households own cats). To miss an opportunity to appeal to this demographic — the pet lover and, in particular, the dog-lover lifestyle — is a move in the direction of irrelevance. Jon Kurtz is co-founder and CEO of Dog is Good, LLC, a lifestyle brand for dog lovers, creating original dog-themed gifts, home decor and apparel (for people). 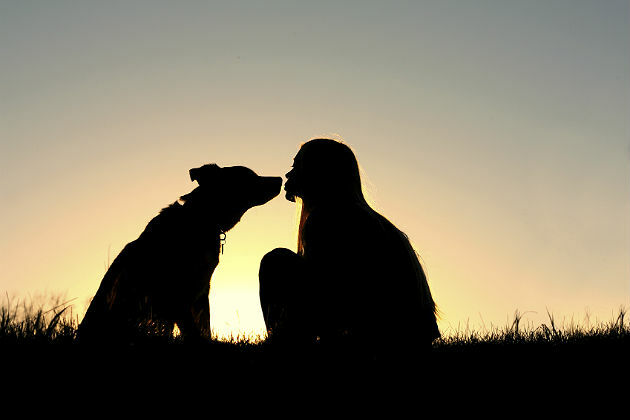 Because the company focuses on the emotional aspects of the dog-human relationship, they have been carefully observing the dog-lover lifestyle and the reaction of the market since the company's inception in 2007.